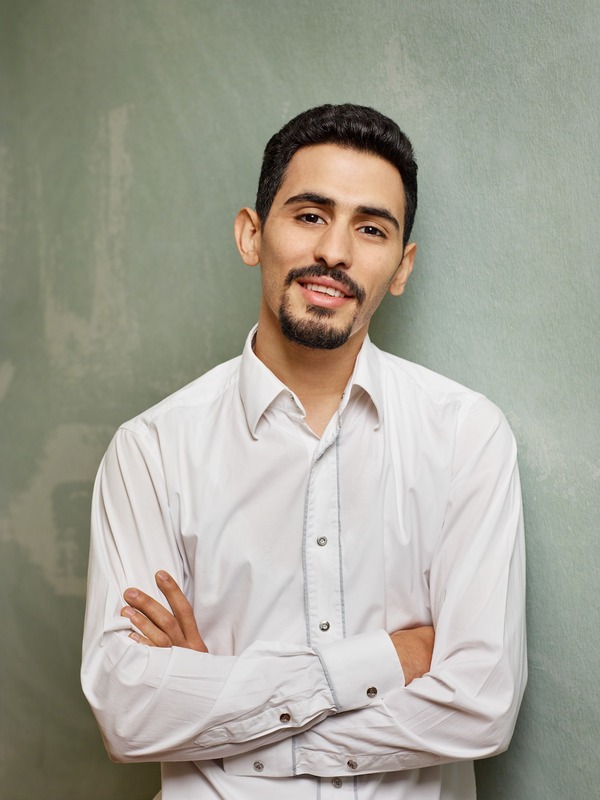 Aeham Ahmad was born a second-generation refugee—the son of a blind violinist and carpenter who recognized Aeham's talent and taught him how to play piano and love music from an early age. When his grandparents and father were forced to flee Israel and seek refuge from the Israeli–Palestinian conflict ravaging their home, Aeham’s family built a life in Yarmouk, an unofficial camp to more than 160,000 Palestinian refugees in Damascus. They raised a new generation in Syria while waiting for the conflict to be resolved so they could return to their homeland. Instead, another fight overtook their asylum. Their only haven was in music and in each other. Forced to leave his family behind, Aeham sought out a safe place for them to call home and build a better life, taking solace in the indestructible bond between fathers and sons to keep moving forward. Heart-wrenching yet ultimately full of hope, and told in a raw and poignant voice, The Pianist from Syria is a gripping portrait of one man’s search for a peaceful life for his family and of a country being torn apart as the world watches in horror. A photo can never really tell you what happened before or what came after. Like that picture of me sitting at a piano, singing a song amid the rubble of my neighborhood. It was reprinted by newspapers all over the world, and some people said it’s one of the photos that will help us remember the Syrian Civil War. An image larger than war. But when I think back to that moment, I think of another image, superimposed on all the rest, an image of three birds. That morning before daybreak I had gone out for water, together with my friends Marwan and Raed. Getting water was backbreaking work. We had to rise early and push a 260-gallon tank on a cart to one of the last working pipes in the neighborhood, then fill up the tank and push it back home. We lived in Yarmouk, a suburb of Damascus. The armies of Syrian president Bashar al-Assad had cut us off from the rest of the world. We had no water, no electricity, no bread, no rice. By that time, more than a hundred people had died of starvation. After my friends and I had delivered the water to our street, I decided to get some more sleep. But a little while later, my two-year-old son, Ahmad, whispered something in my ear and then playfully poked his tiny finger into my eye. Ouch! I jumped out of bed. Clearly, I wasn’t going to get any more rest. I decided to heat up some water with cinnamon—we had run out of coffee and tea a long time ago. But there was plenty of cinnamon, ever since a group of militants had stormed a local spice depot. It hadn’t seemed like such a bad haul at first, all this cinnamon, but think about it: Who needs cinnamon when you don’t even have bread or sugar? That’s why it was ridiculously cheap. Several months earlier, a few young men from the neighborhood had started a music group. We had been performing out in the streets, standing around my upright piano. Every day, we hauled it out on a cart, carefully steering it through the rubble. We sang to escape the ever-present hunger that was gnawing at us. Our performances were popular on YouTube, but the people in my neighborhood could barely be bothered. And who can blame them? When you’re hungry, you can’t think about anything else. On that day, the two of us had agreed to meet with a photographer named Niraz Saied. Marwan and I began pushing the piano, which was unbelievably heavy! Usually, there were six or seven of us carefully maneuvering it through the torn-up streets. We turned onto Palestine Street, which had once been a bustling commercial center and was now deserted. The damage there was staggering. The ruined buildings were like concrete skeletons, giant tombstones reaching into the sky. Entire walls had been torn off, revealing the insides of various apartments, with pipes and cables sticking out. The street was littered with heaps of rubble, with weeds growing among them. I sat down at the piano and thought about what I should sing. I had written dozens of songs in the past few months; they had simply poured out of me. Then I remembered a poem, scribbled on a piece of paper, that a man had given me a few days earlier. His name was Ziad al-Kharraf. In the old days, he sold honey in our neighborhood. He was very cultured and educated, and he used to be quite wealthy. I knew him only in passing. Ziad had a doctorate, but I don’t know in what. I do know that the honey was merely his hobby. He used to take trips to the hills outside of town, to meet with local beekeepers. Sometimes he even went abroad, to countries like Yemen, where he would sample new blends of honey. But that was then. Before the war. Ziad had written the poem for his wife. She had been in the last weeks of pregnancy, and had transit papers for Damascus so that she could give birth to her child there. But something had gone wrong at the checkpoint: the soldiers wouldn’t let her pass. Apparently, some bureaucrat had misspelled her name. She had to spend hours waiting while they tried to correct the error. When it became too much for her, she collapsed and fell onto her stomach. She died on her way to the clinic. The baby survived. Ziad had loved his wife more than anything. They had married for love; it wasn’t an arranged marriage. His wife had been his best friend. They had three daughters. Their new baby was their first son. As the photographer was setting up his camera, a woman appeared carrying a tray. She had decided to make coffee for us, using the last bit she had, which she had saved for a special occasion. She wanted to share it with us and listen to the music. “What you’re doing is very important,” she said, pouring me a cup. I smiled at her with immense gratitude, savoring the wonderfully bitter taste of the coffee. Then I noticed a chirping sound, and looked up to see three birds perched on a second-story balcony right across from me. It seemed a miracle, for normally birds vanish as soon as the shooting begins. Only very few of them find their way back to Yarmouk, and those are usually shot down because people are hungry. When I began to play, the three birds started singing again. Everything came together for me—the chirping of birds, which I hadn’t heard in so many months; the aroma of the coffee, which I had been longing for; the rage born out of hunger; my aching eye where my son had poked me; the lingering taste of cinnamon; my exhaustion from getting water that morning; and the haunted gaze of Ziad al-Kharraf when he’d asked me to make his poem into a song. Ziad’s pain, the starving children of Yarmouk, and my brother’s disappearance were all tearing at my heart. I was angry that the piano was out of tune, angry at my wounded hand. Closing my eyes, I began to sing, pouring all my despair into Ziad’s poem. My song became a cry, the cry of a man plunging into an abyss and giving voice to his descent into hell. That was when Niraz must have snapped the picture. Today people sometimes ask me: When you lived in that Palestinian camp, what color was your tent? Although Yarmouk was officially a “refugee camp,” it was in fact a real neighborhood with real buildings. I used to own an apartment, a nice spacious apartment. I sold ouds, and my business had been thriving. But the war had destroyed it all. A grenade had cut the tendon between two of my fingers. A girl who had been standing next to my piano one day had been shot to death, and finally, the Islamic State had burned my instrument to the ground. I would soon be exiled from Yarmouk, forced to leave my world behind. I would become one of those miserable gray figures, one of the millions who were now streaming into Europe. Some people think we only came to get a share of the wealth. But they don’t understand us, don’t know why we’re forced to come. They’re afraid of us. And that is why I want to tell my story now in these pages. I want to raise my voice to dispel some of the fear and the lies. For pictures, too, can lie. Even if they contain a trace of the truth. Aeham Ahmad was born in Yarmouk, a suburb of Damascus. His father encouraged his musical talent, and at age seven, he began piano lessons at the Arab Institute in Damascus. He later studied music education in Homs and worked as a music teacher. In 2015, he fled to Germany because of the war in Syria. Today. he lives with his family in Wiesbaden and gives concerts all over Europe. In December 2015, Ahmad was awarded the International Beethoven Prize for Human Rights. 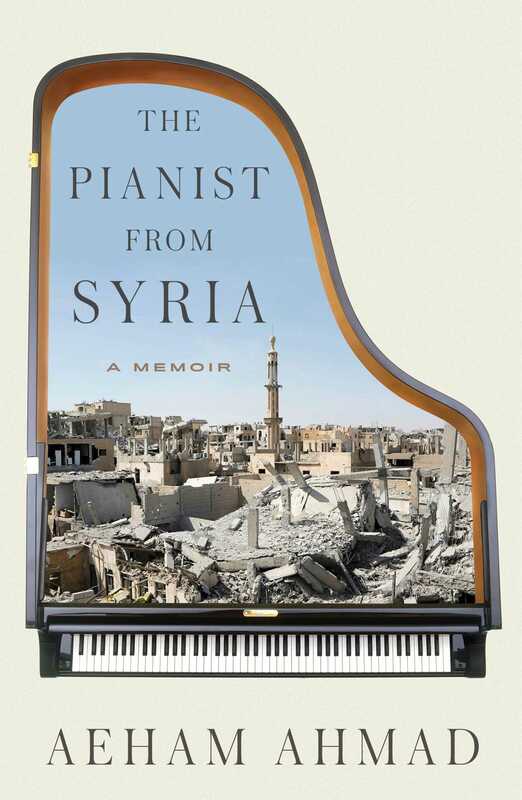 The Pianist from Syria is his first book.